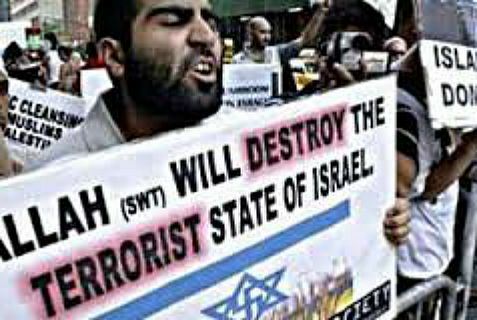 Palestinians desire only true Islamic “peace” with Jews. Palestinians are Islamic and Islam is the religion of peace. Don’t forget it, unless you are a hateful Islamophobe and look forward to being murdered. A You Tube copy of a heart-warming Palestinian instructional video on how to achieve blessed Islamic peace with Jewish oppressors is embedded a few paragraphs below. The video has “gone viral” in the Palestinian social media. The 1 minute and 13 second-video, as seen below, shows the “teacher” calmly walking up to a “victim,” stabbing him, and walking away. One of the tactics appears to imitate the Islamic State method of beheading. The guide to killing Jews teaches that after stabbing the victim, the knife should be twisted to maximize wounds and cause death. 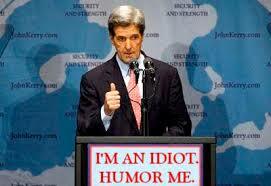 He is the envoy from the Palestinian Authority, Israel’s peace partner in discussions which Secretary Kerry has pushed ever since he first honored and delighted Israel by becoming the U.S. Secretary of State. Here’s an Andrew Klavan video condemning Israel’s own brutal war on innocent cancer cells. They are probably not the types of cancer cells to which the esteemed Palestinian Authority envoy referred. Finally, here’s an uplifting video from November of 2011 about the glories of the Arab Islamic Spring and the peace, enlightenment and happiness it is bringing to all whom it touches. This entry was posted in Andrew Klavan, Cancer, Department of State, Foreign policy, Hamas, Islam, Islamic Jihad, Islamophobia, Israel, Jews, John Kerry, Obama, Palestinian Authority, Palestinian heroes, Pat Condell, Religion of death, Religion of peace and tagged Andrew Klavan, Cancer, Department of State, Foreign policy, Hamas, islam, Islamic Jihad, Islamophobia, Israel, John Kerry, obama, Palestinian Authority, Palestinians, pat condell, Religion of death, religion of peace. Bookmark the permalink. 2 Responses to Palestinians desire only true Islamic “peace” with Jews.